Ep. 65 Is the Fiancé Visa Safe? The San Bernardino gunwoman came to the US on a fiancé visa. Is the fiancé visa safe? Applying a K-1 visa is a very rigorous and complicated process — too many things they have to go and disclose — for a terrorist to use to enter the US. It is much easier for them to falsify application for a tourist visa, and enter US, than with the K-1. Today I want to talk about an issue that we’re getting a lot of inquiries via emails and also via our Facebook page. This is regarding the horrific shooting in San Bernardino right here in California. We have two gunmen, a husband and wife, who shot more than 14 people in a horrific act of terrorism. Now the biggest issue with the question I’m getting is that the spouse came to the US on a fiancé visa. The biggest question is, first of all, is the fiancé visa a safe visa? Is this a loophole? What is this fiancé visa all about? Many of the immigrant clients know what is a K-1 visa. I’ve done, I think, a couple of episodes about what it is but let me recapture. K-1 visa allows a foreign fiancé to travel to the US to enter, to marry a spouse. They have 90 days to enter the US to get married. The fiancé visa requires several things. First of all, there has to be a physical meeting. Second of all, the applicants have to prove that it’s a legitimate relationship and that they in fact intend to get married. But what is more important to understand about the K-1 visa is it requires an applicant to submit a nonimmigrant form with personal and security questions, plus certificate from police in every country in which an applicant has lived for more than six months: medical exam, passport document, financial support, proof of relationship with the US citizen; many, many different fees, finger prints. People get the fiancé visa eventually. They get a sealed file, personal, a government document. So they have to bring with them when they enter United States. It’s a very, very rigorous and complicated process, and eventually the person who gets approved on a K-1 visa and comes here, they have 90 days to marry. Now an interesting thing about the K-1 visa. If the person who enters the US, the fiancé, failed to marry the US citizen within those three months, they are not able to get a green card ever as long as they stay inside the US. So there is even an addition on layer of security that if they don’t fulfill the requirements, they are not going to able to stay in the US. People who say this visa should be reformed, it’s not a safe visa, in my mind they are wrong because terrorists who want to come to the US, they are not going to choose the K-1 visa. There’s too many things that they have to go and disclose to be able to get it. They’re going to try to falsify an application for a tourist visa which requires less and less, much less security clearance. So to answer the question, the K-1 visa is a good visa for people that intend to marry and there are no other way for them to enter the US. They have three months to do this. I feel that this is a good program. It should stay intact. Unfortunately these people, after they came to the US, who knows what happened to them and how they became radicalized but it wasn’t because of the K-1 visa that they’ve done what they’ve done. Thanks for listening. Hope this information was useful. 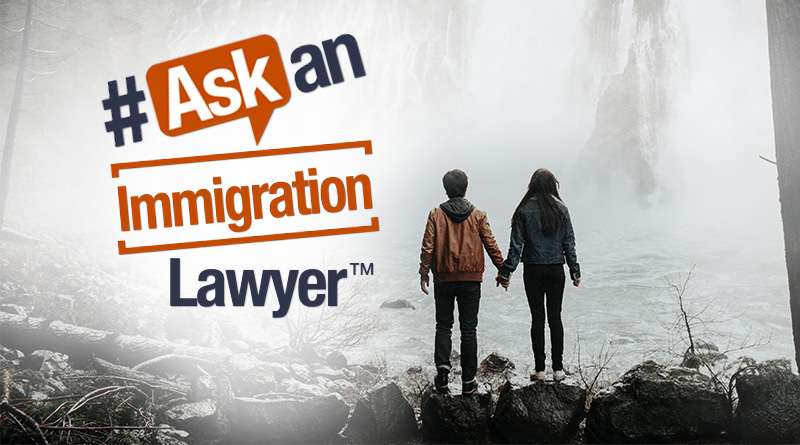 If you have any questions, email me at jacob@askanimmigrationlawyer.com and we’ll see you at our next episode.